The 200MW Cebu CFBC Power Plant in Naga, Cebu, which consists of two 100MW units, has helped augment the increasing power demand in the Visayas since it started operating in 2011. Unit 1 began its operation in February 2011 and Unit 2 in May of the same year. 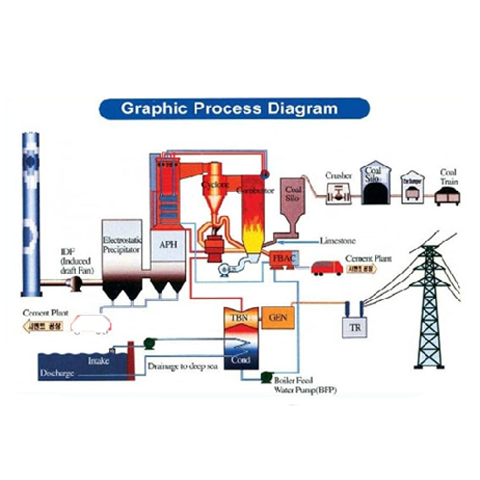 The plant utilizes the modern Circulating Fluidized Bed Combustion (CFBC) Technology, a clean coal technology proven globally to be compliant with stringent environmental laws such as the Philippine Clean Air Act and the World Bank standards. Emissions from facilities using this globally accepted technology have been proven — by over 1,300 CFBC units operating around the world —to be very well within the limitations set by the Clean Air Act. The injection of limestone into the combustor significantly reduces sulfur (SOx) emission while the formation of nitrogen oxide (NOx) emissions is reduced, if not eliminated, due to the low combustion temperature of 850-900 OC. The project is conceptualized under the scheme of a merchant power plant, characterized by the execution of power sale contracts (PSCs) with distribution utilities and electric cooperatives, instead of power purchase agreements with the government. Under the concept, the generating company is responsible for the whole construction, operation and maintenance of the plant, including fuel supply, among others, without any Philippine government guarantees.